Marcus Allen, Fred Biletnikoff and Jim Plunkett are former NFL players who all earned Super Bowl MVP honors during their time with the Los Angeles/Oakland Raiders. 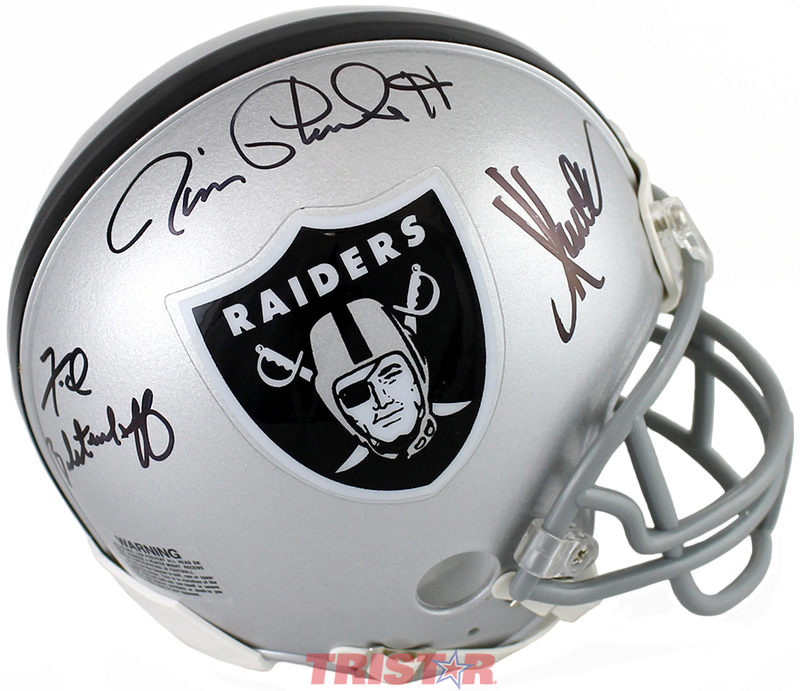 This Oakland Raiders replica mini helmet has been hand signed by Marcus Allen, Fred Biletnikoff & Jim Plunkett. Each autograph is guaranteed authentic, and includes an individually numbered TRISTAR Authentic hologram.